The administrative – as opposed to the legal – establishment of the First Independent Church of Scientology (FICS) is underway. Naturally, that involves having the correct technology. The first step in applying the correct technology is: Having the Correct Technology. There is plenty of upbraiding going on against the church for its ‘no results’ or ‘bad results.’ And trouble spots galore exist, as any casual surf through the waves of cyber space reveals. Discerning eyes can also spot those reports which are, ultimately, backed by governments or monopolies. For assistance in sharpening your own perceptions, see here, here and here. The first clue is generalization or wrong targeting, e.g., Scientology is the problem. Intelligent, fair-minded (i.e., not prejudiced) people can see the difference between a philosophy and those who act in the name of the philosophy, and they don’t make judgments based solely on data from bitter former… anything (church members, employees, spouses, etc.). To understand many specific changes in the technology inside the church, visit Friends of LRH. A prominent Class VIII auditor once told us that he/she would rejoin the Sea Org if given the opportunity to put the tech in. We found that admirable, but not entirely unexpected. After all, in the Class VIII course, LRH gave students the task of ensuring the technology remains standard. We hope that person and many other Class VIIIs will step up and help get the tech in FICS, which is tantamount to getting the tech in the church, because one day, perhaps a distant day, those few souls left within the ever-crumbling church will want the correct technology. And FICS will give it to them – in furtherance of Keeping Scientology Working Steps six through ten: (6) Seeing that the technology is correctly applied; (7) Hammering out of existence incorrect technology; (8) Knocking out incorrect applications; (9) Closing the door on any possibility of incorrect technology; and (10) Closing the door on incorrect application. 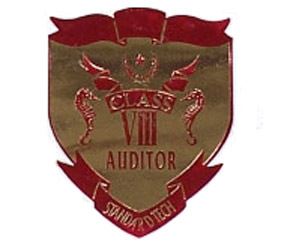 The plan to have the correct technology begins with the establishment of a Technical Standards Committee comprised of Class VIII auditors who have proven results applying the technology. This process has begun, and several qualified people have already volunteered. Lana Mitchell has generously donated her time and skills to help establish this project. Anyone desiring to contribute may contact her through info@religiouslibertyleague.org. Please let us know if you are qualified and willing to join the committee, or can recommend someone who is. The committee, among other things, will nominate to the FICS board of directors a candidate(s) to hold the position of Senior Case Supervisor. Please provide input, including your choice for the best qualified candidates. All information received will be forwarded to the Technical Standards Committee. The ultimate product FICS is looking for is the correct technology: a classification and gradation chart that can be placed in every mission, church, or advanced organization; course packs and checksheets that FICS can package and make available to all its licensees. Once the correct technology has been settled on we will isolate and deal with the trademark and copyright issues presented and then formulate a more precise legal strategy. We touched on some ways you can assist this effort, above. There are other ways, some that we might not even envision. So please weigh in. Do you support this approach? If not, why not? If so, why? We know that a number of people in the field have created their own charts, course packs and checksheets, and therefore, that a lot of ground work has already been done by competent tech terminals. We request your assistance and support and ask you to provide copies of your work product to the Technical Standards Committee for its review. If you have something to say regarding the makeup of the Technical Standards Committee or who should or should not be the Senior Case Supervisor, now is the best time to say it. As we mentioned in a previous article, FICS is your church. It will succeed to the degree that able people step up and contribute to it. We all bear some responsibility for losing the correct technology. This is our chance to remedy the situation. Please lend a hand. HCO PL 7 February 1965, KSW Series 1, Keeping Scientology Working. Great news thanks for getting it started ! Wonderful! Thank you for taking steps that will create a difference. I am a Class Vlll, and trained supervisor. If a group forms in the North East Coast, I would participate. It would be great to establish a comm line with you as a fellow Class VIII. I’m not that far away, up in the Toronto area, unless of course, you’re down near New York. Anyway, if you’re interested, email me at standardtechauditor@yahoo.ca. Thanks. Your doing a great job Merrell. Personally I think we should revert to the Grade Chart that was extant prior to late ’81 which included the Original OT Levels and NOTs which was also covered in RED 28. Also I think we should be suspicious of any changes made by RTRC by applying the HCOB/PL How to Defeat Verbal Tech. This should not only be applied to HCOBs but any policies that were “revised” (as in altered) by RTRC. The same with any lectures or books that were redacted such as the PDC and others. As far as actual auditor training we should go back to the original checksheets issued per the RED End of Endless Training. Totally eliminate what is called the “Basics” and revert to the original Div VI courses. Such as the Anatomy of the Human Mind, PE, HAS and HQS. 1) Acquire a list of all processes up to LRH passing in 1986. 3) Acquire a list of all the recordings. Next would be to compile the most standard and effective training and auditing packs and check-sheets for each step of the bridge. Then the proper sequence of steps on the “The Bridge”, with consideration to weather Dianetics or Scientology processes come first for both auditing and training on the lower bridge, a clear path through the Alternate Route both processing and training, then a sort out of the upper bridge “Old OT Levels, New OT Levels”. Once these are established I believe the First Independent Church of Scientology will have an even stronger identity and would generate a very strong following and participation including myself. Was done 5 years ago. Pardon the delayed Ack. I’m glad it was done 5 years ago. Is this data available to others? I’ll shoot you an email separate from this posting to give you my bio and such, but as you know, I’m up to assisting these efforts and being part of this. Nothing like a good 3rd Dynamic to spark the fire and rekindle one’s purpose, eh? Sorting things out will be somewhat of an undertaking, but the original books and volumes sufficed quite well for man years and produced thousands of competent auditors. There are many great checksheets, including the original HAS and HQS courses. I’d toss anything DM, like STCC and HTAEC and the revised, watered-down public books. But this will be the job of that committee, reviewing LRH advices and policies and tech, as well as listening to input from other trained or experienced sources (including admin terminals, ex-SO terminals, those formerly on management lines or long-time staff). A big job, but doable. One thing, any tech should align with the basic axioms of Scientology. So there may be some good tech after 1986; conversely, there may be some non-LRH and altered tech pre-1986 (LRH has said it has happened many times along the line). BUT, again, all this can easily be sorted out by the Technical Standards Committee once it is formed. And I’d be happy to help. ^^^ That exactly, not based on some fixed date because one “suspects” DM … (Fill in the blanks) _______________________. There were others. Other than Miscavige who were “gnawing at the pillars of the bridge”. This is covered in HCOB Tech Correction Round Up. Also it was when David Mayo or DM1 was Snr C/S Int that we somehow “lost” the Original OT Levels back in ’81. Also I respectfully disagree with Chris that there was any tech developed after 1986 by anyone other than Ron. This is covered in KSW 1. There may have been tabulation and compilation of earlier tech that Ron personally developed that had not been broadly released prior to 1986. Such as the Super Rundowns mentioned in RJ 28 and various notes on the OT Levels above OT VIII mentioned in the above RJ, HCOB Tech Correction Roundup and Dn & Scn Current State of the Materials. The only thing that RTC and RTRC claimed to have “developed” was the Golden Age of Tech which is totally useless and violated the PL on Drills Allowed. BTW. As far as I know and confirmed by the RED introducing it. The STCC was in fact developed by Ron. Along with several other courses written specifically for Div 6 public that somehow got lost in the shuffle when the new regime or junta took over. Robin, I didn’t say any tech was developed after 1986, but there may have been some tech released that wasn’t released priorly. As I said, this would be up to the Committee to review and decide. As to your comment on the STCC, I respectfully disagree. Again, this would need to be looked at in light of ALL LRH has said on the subject (eg. see HCOB TRs Basics Resurrected). STCC is mentioned in RJ 33 which as far as I know was written by Ron in Dec 81. Also comparing STCC to auditor training TRs that is TRs 0-4 and 6-9 is like comparing apples to oranges. There is no where Ron says that these replace TRs used in auditor training. So unless you can show a valid reference that says these TRs are invalid or that actually cancels STCC as a valid Div 6 course then all you’ve stated is merely your opinion. “Public courses on TRs are NOT “softened” because they are for the public. Absolutely no standards are lowered. THE PUBLIC ARE GIVEN REAL TRs – ROUGH, TOUGH AND HARD. To do otherwise is to lose 90% of the results. There is nothing pale and patty-cake about TRs. I agree with because on this as the original HAS and original Comm Courses really made Scientologists (as did the original HQS course). In all the suping and overseeing of the course rooms I did in Vancouver, I never really saw the STCC do that. And others have told me the same thing. This doesn’t make it tech or policy, but it certainly is data that needs to be evaluated by the Technical Standards Committee. This is an example of issues that need to be resolved by the Tech Standards Committee and Senior Case Supervisor (after one is appointed). I agree that there MAY have been some “good” tech released after LRH kicked the bucket, the question is documenting Ron’s approval of each such release with his own written or spoken words. This should not be done on the basis of people who were up lines at the time saying that they “saw” LRH approval for this or that…It must be documented and verifiable or it would be verbal tech. Some years ago Ray Mittoff wrote a “Scientology Policy Directive” SAYING that Ron had approved issuing un-issued Tech after his death. But I have never seen or heard anything from LRH approving that activity. Also, there is no such thing as a “Scientology Policy Directive” listed in the HCOPL entitled Issues, Types of. I wrote a well documented and detailed report to the RTC and Compilations Unit about this situation and the only reply I received was “Thank you for your report”. So, we plan to be absolutely vigilant about verification and documentation, right? Exactly, Merrell. It does no good to argue back and forth on this, especially when there are opinions involved (mine – ha!). A committee of technical experts would be able to work it out. Because suggested a good solution as well. For sure I’d love to see access to LRH advices and comm, but I daresay that’s a pipe dream, at least for quite some time. Anyway,right now we have all the tech that’s needed. Are you sitting down there big guy? If one of your ideas is to dump the edited “Basics” books, I’d think twice. I remember reading over some of these books back in the 70s, and it was obvious they’d been badly edited. And I see the improvements in the Basics editions. This wasn’t true of all the books, but some were massively improved by the latter edits. I admit there was some content excised, and that should be recovered if the content warrants it (there was always some content removed from the original transcription; LRH would even make such remarks on tape to the transcriptionists). I’ll give you an example of an innocuous removal and replacement. In the lecture “The Story of Dianetics and Scientology”, the original cassettes from the 70s omitted a whole passage about English explorers which was somewhat derogatory toward Americans (the lecture was delivered in Britain). I know because I must have listened to that tape twenty times over the years. I assume the passage was originally removed to spare the presumably fragile egos of us Americans. When the lecture was reissued decades later, I noticed many stutters were removed, but this whole passage was added. The content could have been left in or removed, and it really wouldn’t have made a difference either way. It was apparently added back in on the CD for the sake of completeness (during the DM era). Granted, this lecture is more for fun than anything else, and not on the main Tech line. Anyway, my point is that a presumed DM connection shouldn’t spell the death of a given version of LRH books and writings/lectures. Each work should be evaluated on its own for its completeness and veracity. I would suggest a series of “errata” for the Basics (books and lectures). This will require a fair amount of assistance from people outside the Technical Committee. This would could be assigned to volunteers and the results returned to the Committee in the form of CSWs, etc. Other, more major and shorter works (like bulletins covering TRs) would be the sole province of Committee members. I was there when STCC came into existence prior to 1986. But if LRH wrote it doesn’t require that everyone agree that it should be used as the course to introduce people to the basics of communications. I believe OT-TR0 – TR4 has produced far more gains and better fundamental understanding than STCC. If the Technical Standards Committe find that STCC is valid along with Basic TR (also found in the VM Handbook), it should be left to the individual licensee to utilize the one of his choosing. I prefer to deliver basic TRs. I agree with you, because. LRH ED 143 INT, The World Begins With TRO, then the HQS and the DCSI and the Bridge as it was then (1971), plus the original books, is the right way to start. LRH went on to undercut with the word-clearing and purif and the Grades and so on, and NOTS. But in my opinion, the primary target is to get people up to Clear. Really, nothing beats Clear in making Scientologists. If we can get people up further than that, well brilliant, that’s massive. But in my opinion, Clear is the primary target – no more does the individual mistake his own thoughts with another, plus so much more that is not possible to elucidate. The OT Levels push people up further, but that is another matter. Most people don’t know they have a Reactive Mind; any thought that comes in, they believe it is theirs, and they act on it. LRH’s original definition of Clear in DMSMH, EoS and Original Thesis is the standard by which I live and work. Nothing in the MEST universe is comparable. I think a good use of resources, (Auditors) would be to have ARCX Auditor teams. It would be obvious why, Daves stats in that area have been straight up and vertical, plenty of customers. With actual auditing and training then not blocked, those handled can just get straight on with where they were stopped, not to mention getting back in the chair, supping or where ever. Also to get Scios back on side if they have wavered. I think it would be the most productive use of time! In the lines, “LRH’s original definition of Clear in DMSMH, EoS and Original Thesis is the standard by which I live and work. Nothing in the MEST universe is comparable.”, what is “EoS”? Ooops, my mistake: not the DCSI, I meant to say the HSDC, the Hubbard Standard Dianetics Course. I would agree with your general approach. We MUST decide what IS “Standard Technology” without a lot of silly bias and rumor. And we must be able to change our minds, in light of any new evidence which turns up. When changes are made, we should say why and thoroughly document all decisions made by the council. One issue here is the STCC versus the original Comm Course. I did the original HAS back in 1976, long pre-STCC. Not necessarily an easy course, but not too complex for a newbie. I know little about the STCC other than having glanced over the list of TRs. There seems to be endless argument in the field about the origin and effectiveness of the STCC. We may never know the origin of the course. So let’s skip that. Instead, let’s look at what the STCC’s course purpose was, as its checksheet should indicate. Then we should look at whether it was ever able to achieve that result en masse. Chris Black suggested that STCC was inadequate based on his supervision of the course. I think this is the best yardstick. If we’re going to have make decisions like this in the absence of LRH, let’s at least follow the criteria he would have used. Chris is not the only one to supe this course. Let’s find out the experience of other STCC supes and determine where opinions differ or are the same, and why. From there, we determine if it is worthwhile or not. AND THEN PUBLISH THE RESULTS AND SAY WHY. I’m not a tech terminal, but I’d suggest that Jim Logan be involved in the committee mentioned, if he is in fact a full Class VIII. He has, over the years, been the most able to pan-determinedly provide tech answers, including any needed references. I’d like to also suggest something I’ve detailed before. We are, here, relying on a “chain of trust” to determine who should be on this committee. We’re relying on the observations and opinions of others to determine whether person X should be trusted to be on this committee. In my opinion, we should subsequently use this to certify others in the field, not part of the committee, to practice the Tech as field auditors. In brief, the committee would endorse (or not) the technical expertise of a given auditor. He could be issued a “certification” good for a year. His name (or handle) would be listed somewhere on this site as being certified. Those of us looking for a “trusted” auditor could refer to this list. Failure to renew yearly would drop someone from the list. Those “certified” could vouch for others (whose names would be added to the online list) Etc. Details to be worked out. Might I also suggest that being the X on this committee be of limited duration? I think it would be wisest not to allow “lifetime” appointments, and that those who are involved be involved in continuing enhancement as directed by the founding documents of the CST. Incidentally, we need to secure the Class VIII materials in several places. Chris Black, I believe, has possession of these materials. They need to be duplicated and safeguarded for the use of others. I’d like to thank Mr. Vannier and whoever else is spearheading this effort. You folks are proceeding precisely as I believed was necessary to restart our Church. I left in ’80 but that was in no way because of tech. I only stayed 14 years because of tech. One of the immediate reasons I left was that Mayo was scapegoated after being the golden boy for years, and Senior-C/Sing my own Flag clean-up from which I had great results. When the folks I most admired (highly trained/high on the grade chart/highly experienced) were either being ejected or choosing to leave, I had to choose sides. I was so puzzled that at that point so few of the people I knew well saw the light. Interesting to see what’s been happening since I fell out-of-the-loop. True there were a lot of good tech terminals who were “scape goats” but Mayo wasn’t one of them. What Ron says in Mixing Major Rundowns and Repairs, not to mention his order to cancel the Pro TRs Course and the Tech Degrade of removing the original OT Levels doesn’t exactly put him in my personal good books. If you want to blame anyone for his demise. Then blame me and the other auditors who reported on his out tech and off policy actions. The current management failed in handling him with standard ethics and justice actions but instead choose to punish him by forcing him and others to run around a tree for hours in the hot desert sun. Personally having been seconded to NWC for a short time. I know how the Running Program or Cause Rehabilitation should be run and how it shouldn’t and what they did at Int Base was a totally criminal perversion of the tech. Also I agree that at one time Mayo was an excellent auditor and C/S under Ron’s watchful eye but when the Ol’man moved off the line he became…. shall we say inventive. Probably if standard ethics, justice and cramming actions were applied he could have been salvaged and rehabilitated but it seems the Scientology wrecking crew who took over weren’t having any of that touchy feely “crap” and decided to go into full “punishment drive” overdrive. My recommendation is an Essay that Ron personally recommended to me when I asked him WTF was going on? BTW some of us as you say “saw the light” back in the ’80’s but didn’t see any alternative back then. Now we have an alternative. I left in August ’80 for much the same reasons. The politics got seriously strange, with the best people getting punished and driven out; The inmates were in charge of the asylum, the RPF filled with the folks who had once gotten the real work done. Τhis is a great improvement for the field and for the future generations. Scientology finally can be free! Freely (in the sense of not altered and fettered) given to the world. Given the example of the church, what I can say for now is that whoever is proposed and elected to lead in a higher should be of the highest ARC. And that is my first point. People with high ARC and Understanding. That is/was/and will be one of the end products of Scientology, after all. In my humble opinion titles or certificates have not always worked. Titles and certificates with proven statistics and real life facts have worked. I am mostly into Admin and of course most of you know that I am a ardent “fun” of the Org Board, which can now go in, finally as it’s the standard tool (vehicle) LRH used and which is basically the cycle of action analysed to its minute steps. How well we will use this Org Board, worldwide and locally, will be the measure of our success. The Tech has been around for many years. Putting the people who can do it together has always been a problem (see the previous church). With the advent of a new church, namely the FICS, and given our prior experience I am sure we will avoid many of the mistakes of the past. As I said, the highest of ARC amongst those who will lead this effort and standard application of Admin will take us long ways. To the success of the FICS. Scientolipedia could help with a discussion forum for the many different topics and issues involved with this effort. The type of blog software this site is using has some limitations which a forum would improve upon. For example, you’ll notice the variety of topics brought up in this discussion but the threads are not too easy to locate and not categorized or sorted by most recent, oldest or topic etc. Stand-alone Forum Software could be useful for coordinating an undertaking such as this but there’s technical savvy required to set it up, a learning curve involved and time consuming to maintain. We could set up a threaded forum discussion page for FICS issues in a matter of minutes and manage it for you. The other benefit to using http;//scientolipedia.org to host this discussion phase is that we already have auditor listings (programming will soon be done to identify auditor certification statuses), org listings, biographies, field admin scale I/P, LRH Stories (anthology), glossary of terms searchable and that pop-up in the text, meter training, Class VIII Registry, books information. (and much more)… AND FREE DOWNLOADS FOR ALL SCIENTOLOGY MATERIALS VIA TORRENT LINKS. So hosting a forum for the planning and organization stages for FICS might make sense. Please feel free to get in touch to discuss. Hooray for sane and constructive action! Am so glad to see a constructive move toward a new church and push to restore the tech. We all know what is wrong…and its time for a new beginning, an effective solution; as I for one am tired of seeing LRH’s name and technology smeared by those who haven’t a clue as what the tech is or its actual value. I am not a CL VIII but a veteran Scn from 70’s (staff member then) and one who knows that if the tech is being applied correctly, that sooner or later it will affect the current scene. I completed the STCC at ITO. Paul Adams was the practical course supervisor. My twin only had two days to complete the course, so we bulldozed through the checksheet as quickly as possible. During OT TR 0, I had fallen asleep. Paul asked if I had fallen asleep. I lied to him and said I hadn’t. I was trying to rush through the course. Fortunately, I had previously done hours of OT TR 0 through TR 4 on the Therapeutic TRs course. For those not familiar with it, the Therapeutic TRs course contains the full OT TR0 through TR4 and TR6 through TR9. There are no clay demos on the course or prerequisites of any kind. I did have one big win from the STCC. I recognize when Scientologists answer a question without answering it. Regarding the discussion about the STCC and a more gradient Div6 approach to TRs, there is an LRH HCOB entitled “Gradients in TRs” (15 November 1974) that I recently discovered in one of my old course packs. It addresses this issue and tells how to instruct and coach the TRs on a gradient. Apparently, this particular HCOB never made it into DM’s 1991 edition of the Tech Vols. Establishing a Technical Standards Committee to establish recommended standards is a brilliant idea. It is also a monumental task, but I am sure that there will be many VIIIs working on the project who, working together can do a good job at reaching a rational consensus. I can foresee that this will wind up being an ongoing project since more documents and tapes may come to light as time goes on. Also, I can foresee some “gray areas”, and the degree of certainty about this or that issue may vary. One example is BTBs (which DM summarily cancelled in toto when the ’91 Tech Vols were issued. At times LRH would order people to write BTBs on different subjects and in some cases he even recommended them. An example that comes to mind is BTB 21 Aug 72RA “HCO Confessional Procedure” which Ron explicitly recommended in HCOB 24 Jan 1977 “Tech Correction Roundup”. This BTB was later “cancelled” in 1987 after Ron dropped his body. My purpose in putting attention on areas of uncertainty is to suggest that the Technical Standards Committee of the FICS might want to leave some leeway and acknowledge the “gray” in these “gray areas” and leave room for honest differences of opinion when it comes to any contemplated enforcement of Technical Standards upon practitioners. Unfortunately, we can not write a letter to Ron on the SO 1 line these days to clarify questions about the subject. And I am sure that no one individual, committee or organization would want to set themselves up as a dictator of what is Standard and what is not. There is only one being who has that hat and we all know who that is. Until he comes back on the line we are all going to have to do the best that we can. So, I am thinking that an attitude of “strongly suggested” (with references) will be more effective (and honest) than “edicts” when it comes to laying out a Grade Chart. It would be like a breath of fresh air for Scientologists after experiencing the draconian “We’re right and you’re wrong” attitude of the COS.
Re Confessional Procedure, See HCOB 30 Nov 78, Confessional Procedure (NOT the 1987 revision) which cancels the 1972 BTB and which is also mentioned by Ron in LRH ED 301 INT. Re the Classification, Gradation and Awareness Chart (The Bridge), while one might be able to “suggest” BTBs and BPLs as well as other issues, the Grade Chart will necessarily have to be followed as a standard in moving someone up the Bridge, and therefore won’t work as a “strongly suggested” piece. IMO. Actually the BTB on Confessional Procedure was canceled in 1978 by the HCOB. If you go back to the most important point in the HCOB Tech Correction Roundup which is the fact that HCOBs can cancel BTBs but BTBs can *not* cancel HCOBs. True the BTB is referenced in the issue but so is HSDC which as we know was replaced by NED the following year. Personally my view even before Tech Correction Roundup was issued was that HCOBs were always always senior to BTBs. This is also covered in the PLs Issues; Types of and the Seniority of Orders. I think the confusion came about after Ron’s demise and our “friends” in RTRC started issuing a bunch of “HCOBs” which were originally BTBs. Then of course with the “help” of RTC pouring fuel on the fire issued the Golden Age of Tech which violated the PL on Color Flash particular the section making any use of Red or Green on White in anything other than a HCOB or HCOPL a High Crime. Of course the way to handle this is not to form yet another “committee” but to use common sense and the HCOB/PL on How to Defeat Verbal Tech. Actually, a committee is a wise move, especially when it’s populated by knowledgeable and proven auditors and C/Ses. It will help clarify – through the application of LRH tech and policy, such as the HTDVT checklist – these “gray areas” that Karl brings up. As an example, there’s a big difference between the 1978 LRH HCOB on Confessional Procedure and the revised by RTRC 1987 issue (which was not originally a BTB). However, seniority of orders, as per the PL, is applicable. Background: I’m a last life Clear who did not do Grades auditing this or last lifetime, and consulted an auditor-C/S pair to determine what my next steps should be for auditing. that the Solo C/S Series Checklist indicated that full grades were necessary prereqs for going onto the advanced levels. I know I hadn’t read of this as a prereq, and in fact the opposite was true, per my memory. I pointed out that Dn Clear changed the game entirely, and that I was not aware of any references dictating grades before OT in the case of Dn Clear. His response was to list a variety of pre-’78 references echoing what he had said. Note that Dn Clear and NOTs were 1978 and beyond developments. This raised my hackles, and I decided to research the matter. I came up with HCOB 23 Dec 71RA Solo C/S Ser 10RA C/S Ser 73RA The No-Interference Area Clarified And Re-enforced. That reference specifically forbids Grades on Dn Clears. There could be some argument on the veracity of this reference. Revision R was done 2 October 83 in light of the NOTs levels. Revision RA was done 1 July 85 to align with HCOB 27 Mar 84 C/S Ser 119 Stalled Dianetic Clear: Solved. An RB revision exists, but was done after LRH died and so is questionable. I believe I have that version on paper. The RA revision I have as a PDF. The C/S Ser 119 indicates what may be done on Dn Clears. I have this as a paper issue. Nowhere in it does it indicate that Grades are needed or legal to run on Dn Clears. The overall message is that, unless a Dn Clear is stalled, you let him get on with it. If he is stalled, you do the minimum necessary (which really comprises various minor actions, or the L rundowns) to get him moving again. Actions included are things like word clearing, purpose handling, O/W, Int, etc. In any case, the data in C/S Ser 73RA align with that in C/S Ser 119.
recent NOTs etc. Interestingly, nowhere in the line-up between Dn Clear and OT I does it mention Grades auditing. More interesting to me, though, is that the prereqs for Solo I do not mention anything beyond what one might expect for a Clear: Sun R/D and Clear. No Pro TRs course, no Method One, no HQS course, no metering course. No training requirements whatsoever. suspected to have been tainted by Miscavige. And, full disclosure, the second signatory on this HCOB was DM, presumably meaning “David Mayo” (hopefully not David Miscavige). Duly noted, Paul. Thank you for your comments.